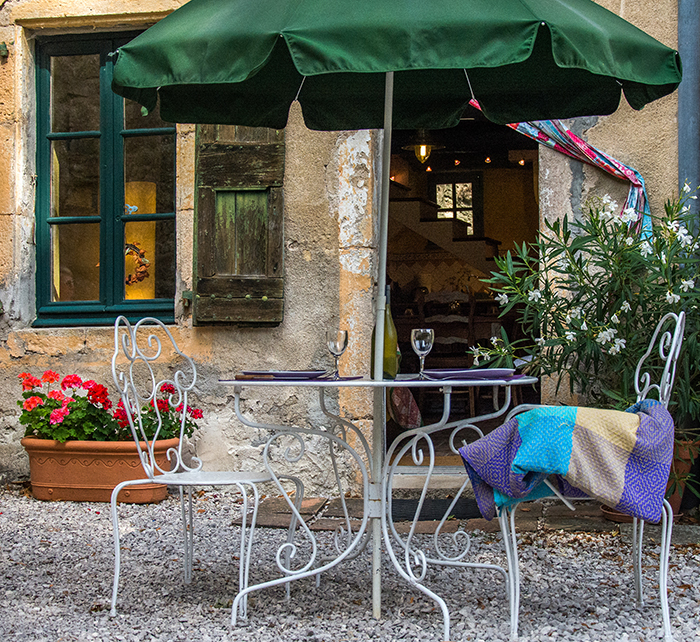 Le Mûrier is in one of the oldest parts of the house and has been transformed into a beautiful independent cottage, furnished mostly with antique furniture. Contact us < with your proposed dates. 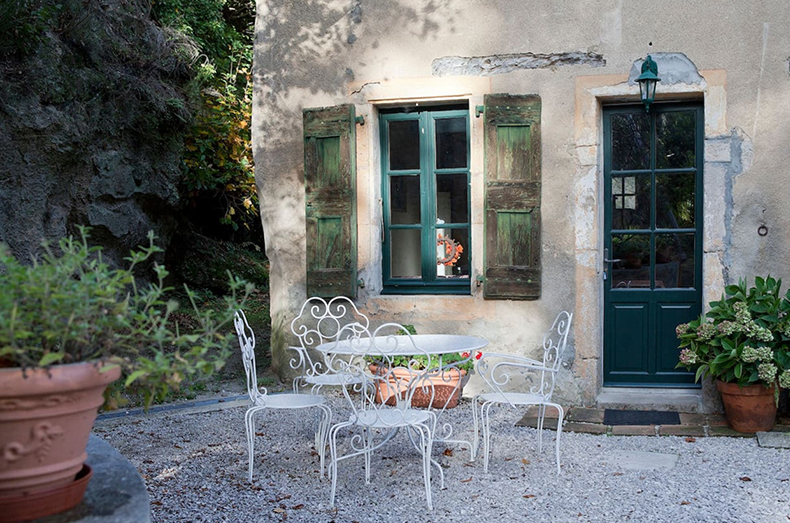 Le Mûrier cottage is for two people. Ideal for a romantic stay for couples. King size bed upstairs. Possibility for second person or child to use the sofa bed downstairs (king size). July & August: 1-week rental only from Saturday to Saturday. For the remainder of the year the minimum rental is 2 nights with any change-over day. Terms: Leave as found or € 40 for final cleaning. Please inquire for Christmas and New Year rates. Can be rented for a minimum of 2 nights. Please inquire for rates.